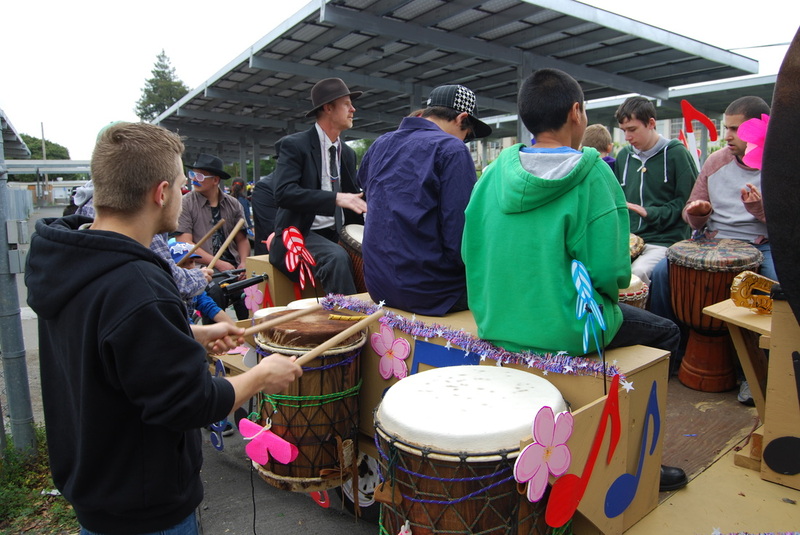 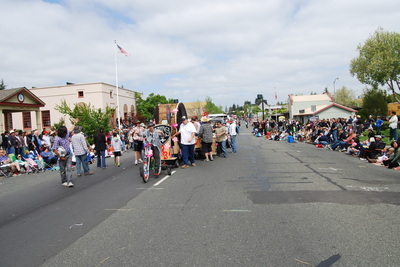 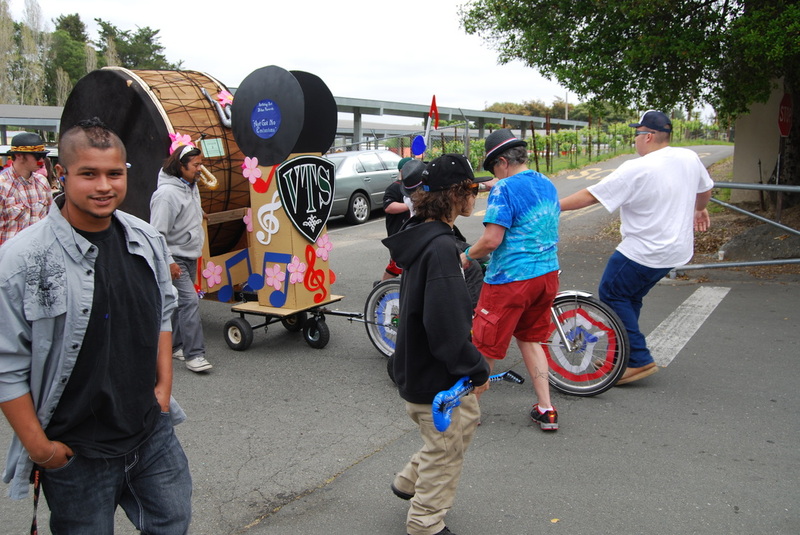 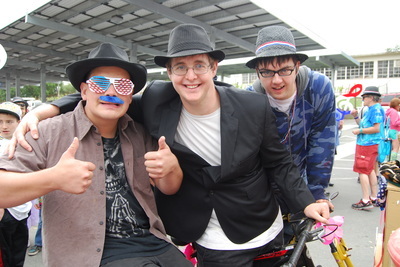 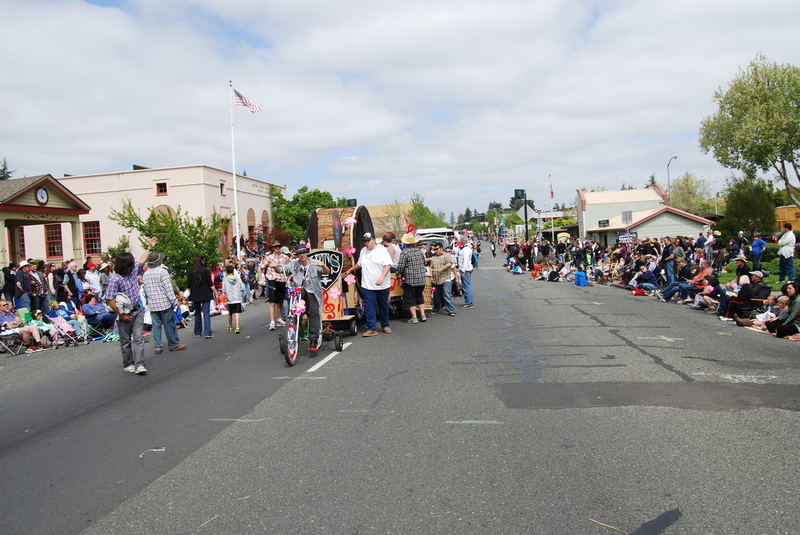 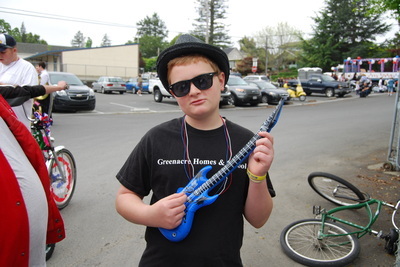 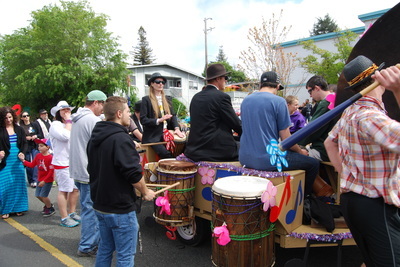 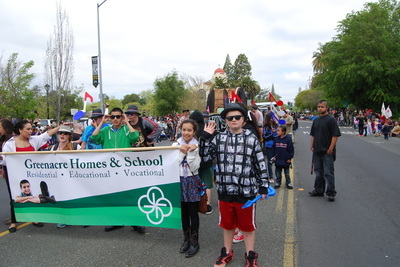 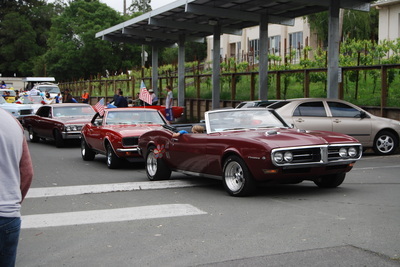 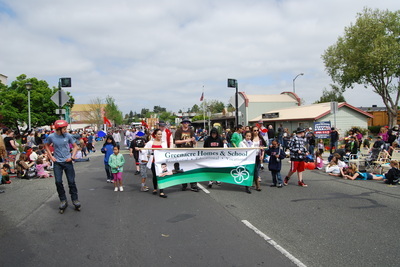 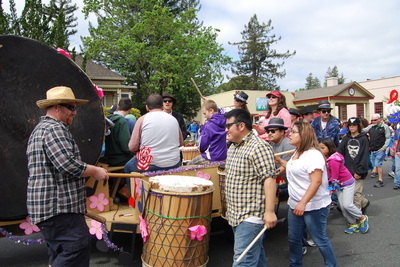 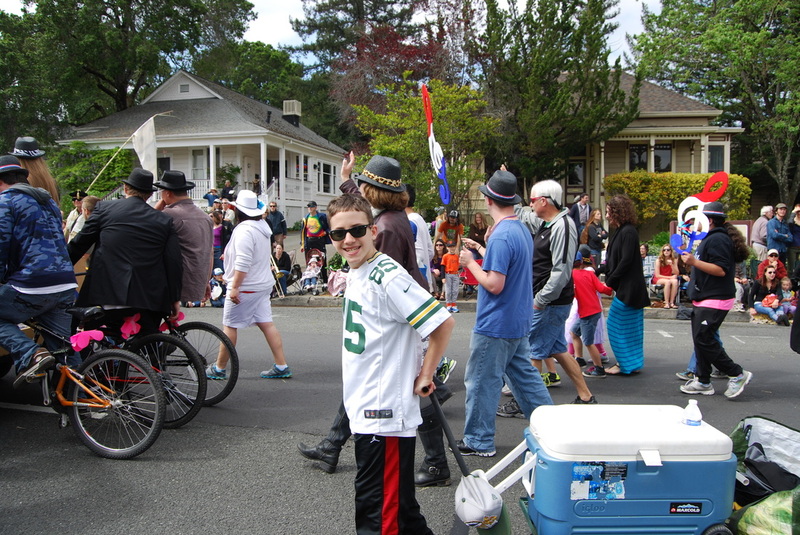 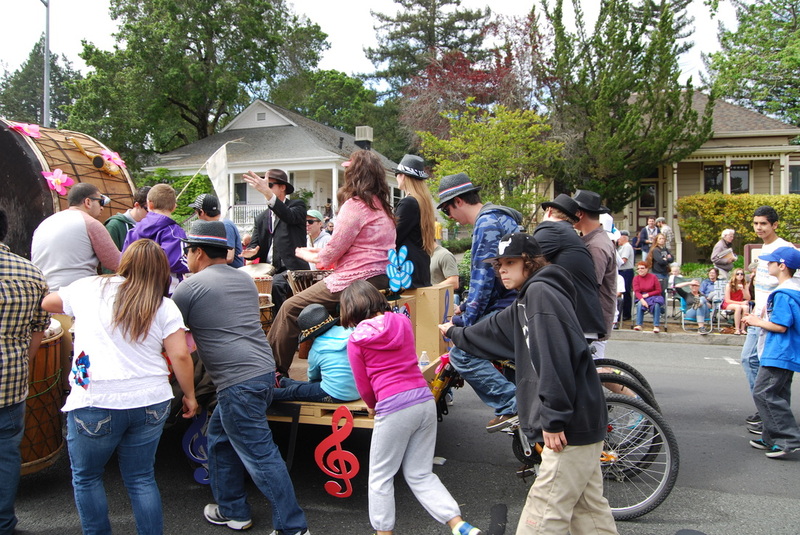 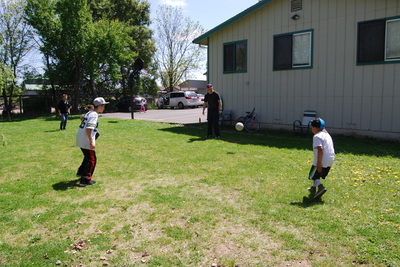 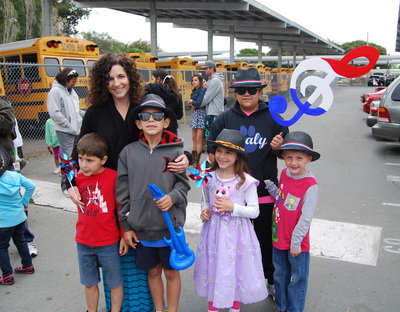 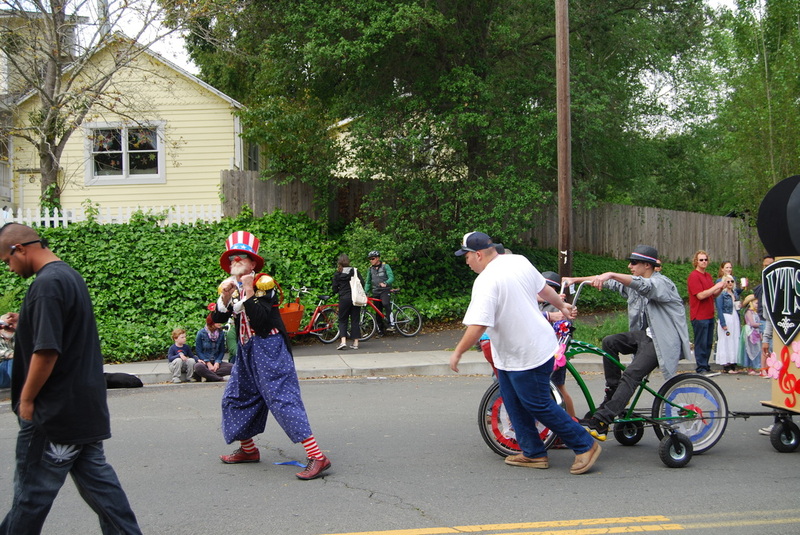 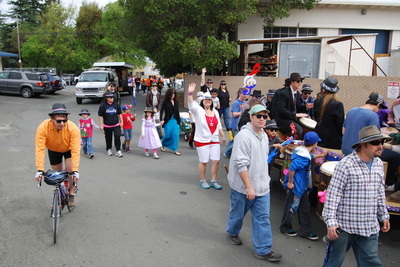 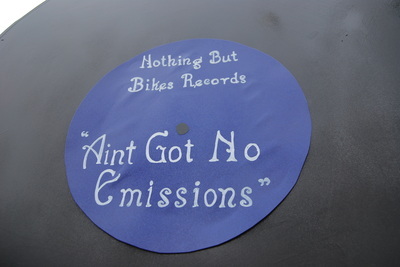 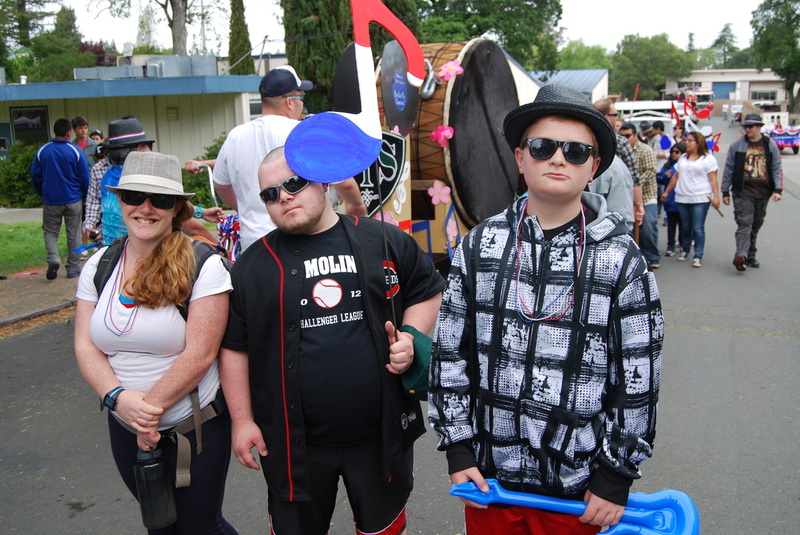 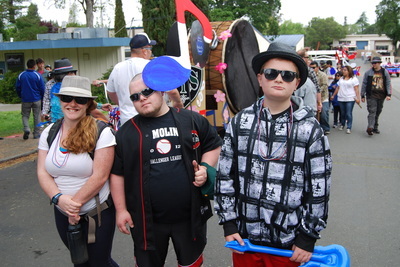 Sporting slick black fedora hats and an assortment of colorful musical instruments, the Bodacious Blues Brothers from the Greenacre's Vocational Training School (VTS) rocked the streets of Sebastopol to win the "Clean Emissions" division for the second year in a row at the 68th Annual Apple Blossom Festival. 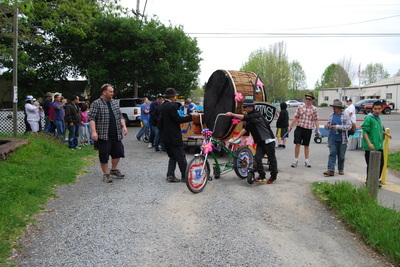 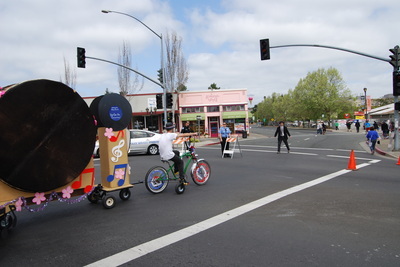 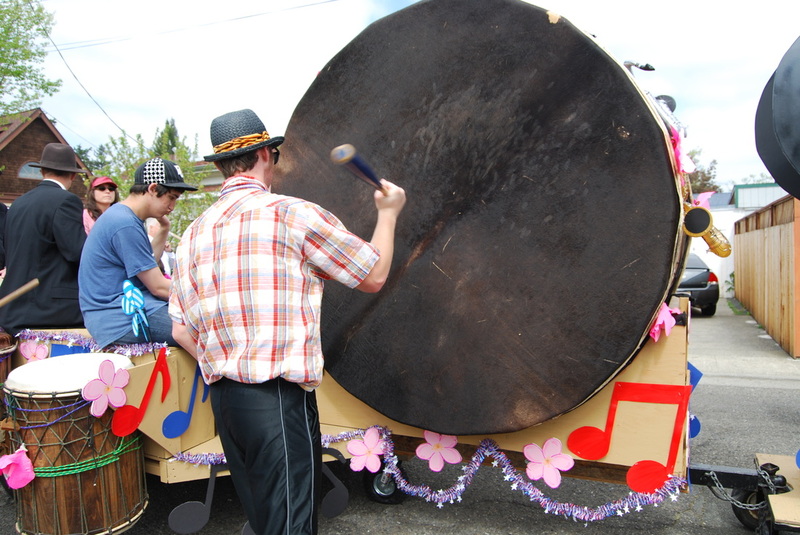 Highlighting this year's Red, White and Blues-themed bicycle-powered float was a 6-foot tall Dunun drum (we think the largest ever built!) 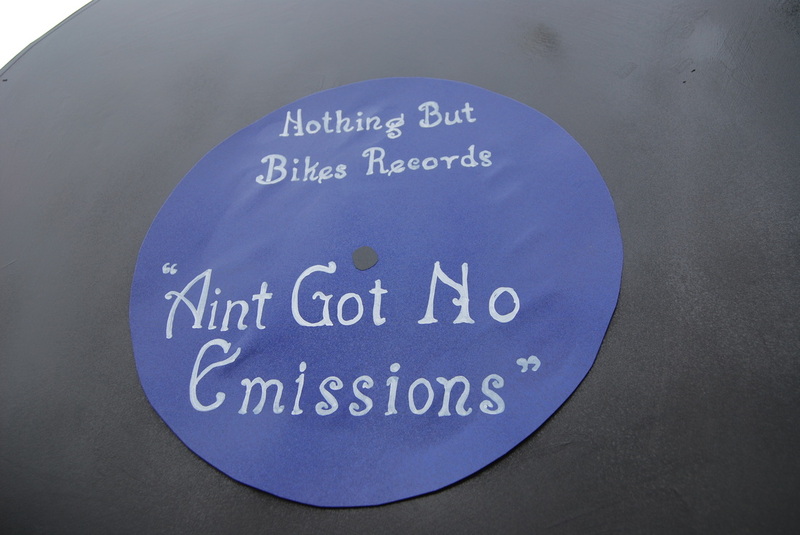 that could be heard and seen from almost anywhere on Main St. 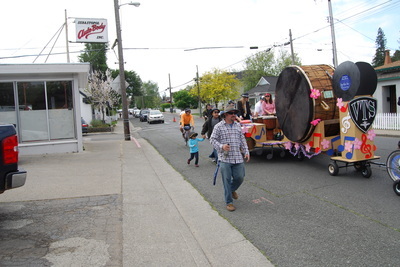 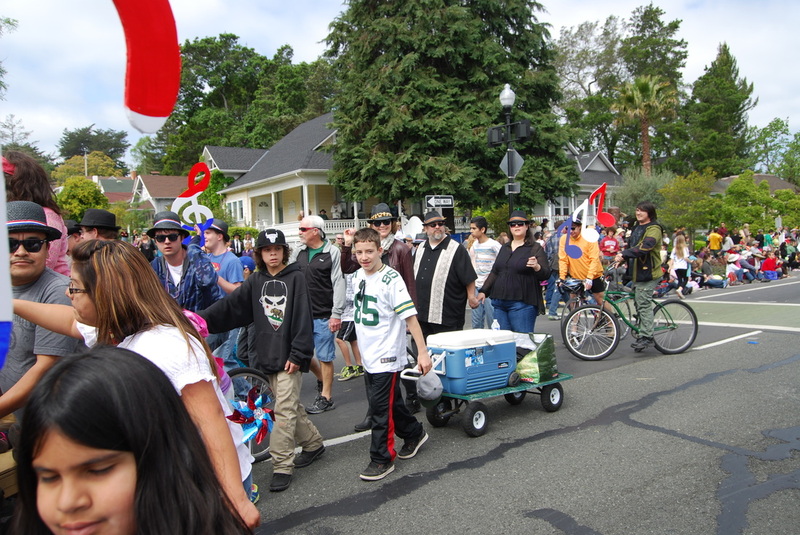 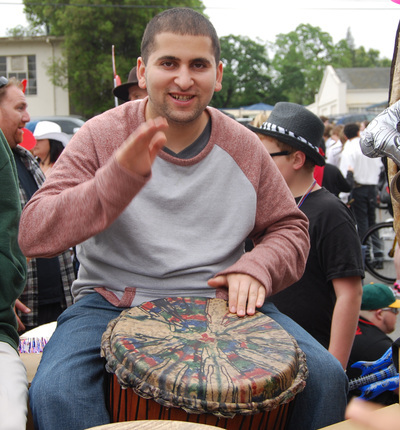 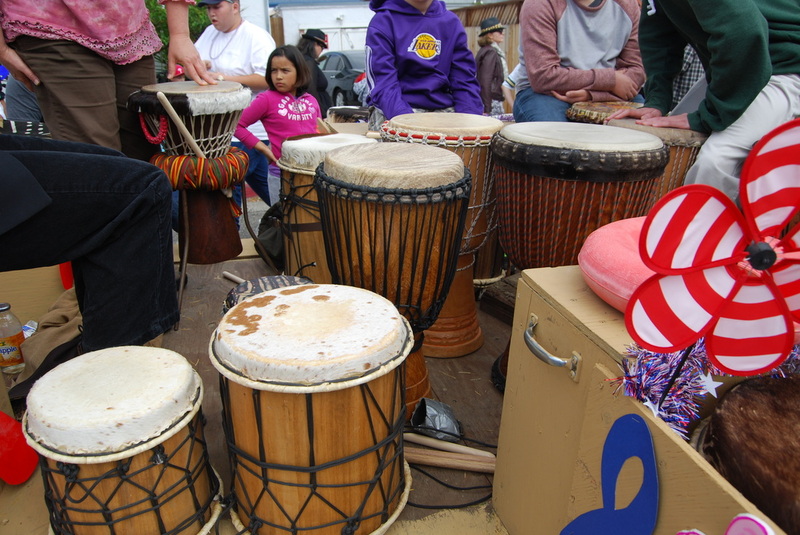 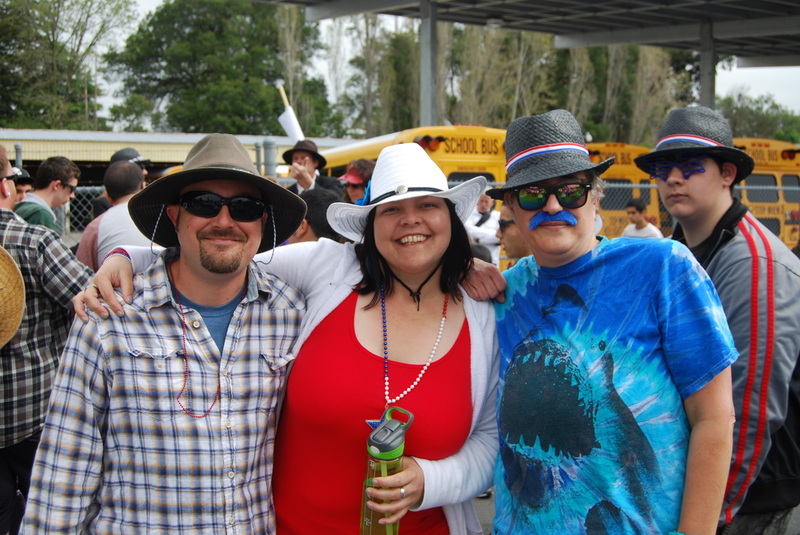 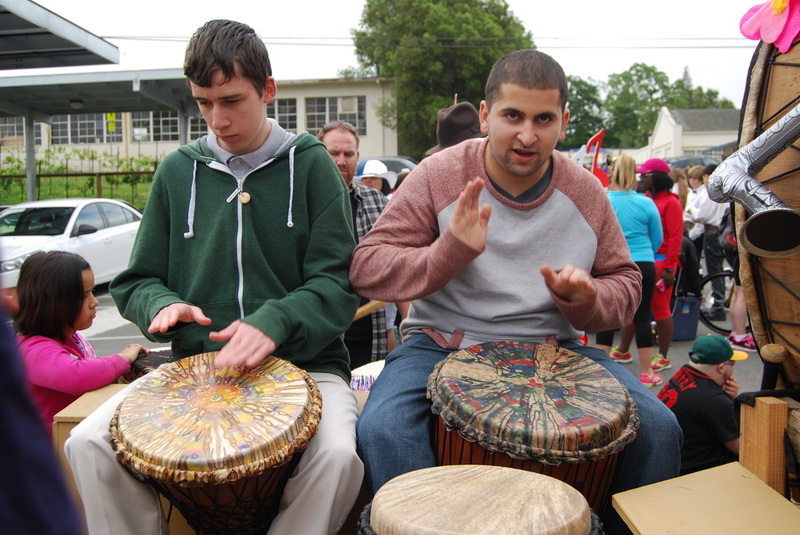 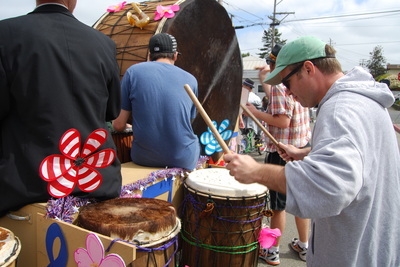 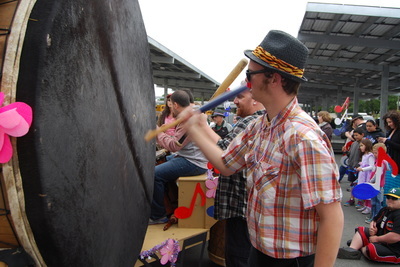 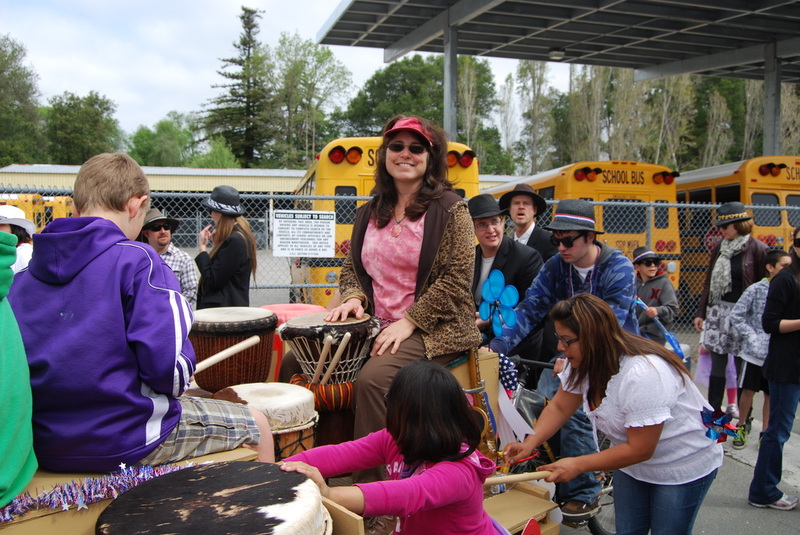 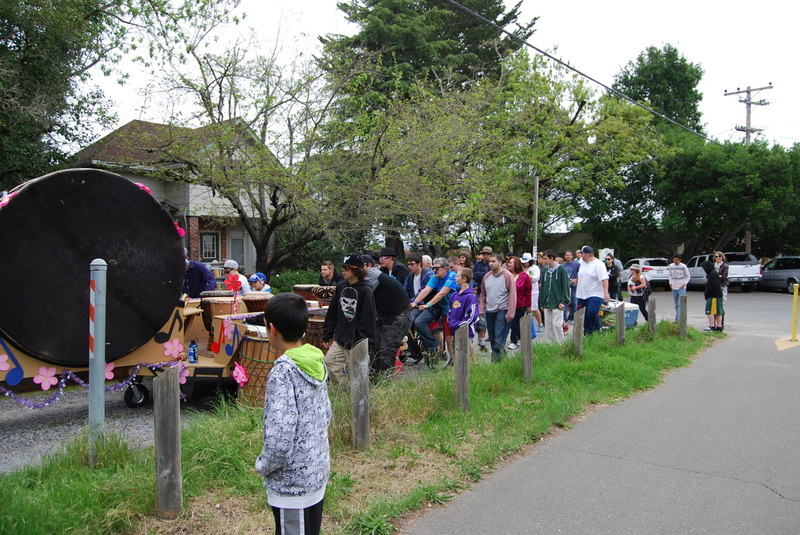 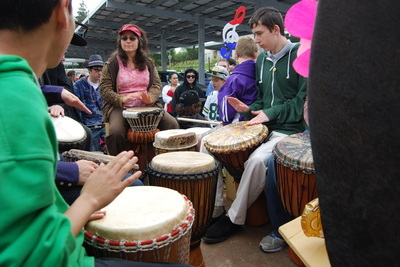 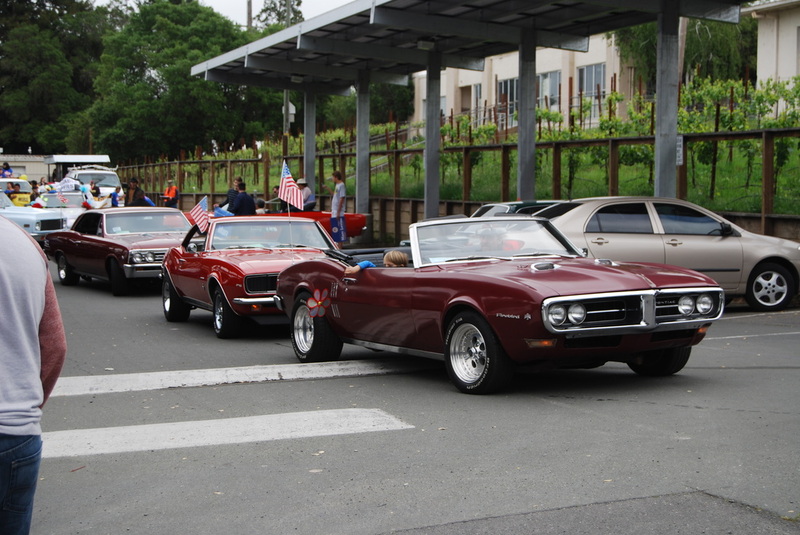 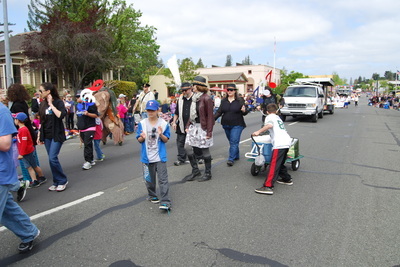 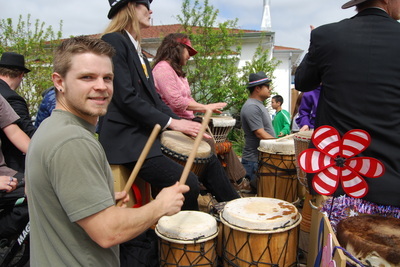 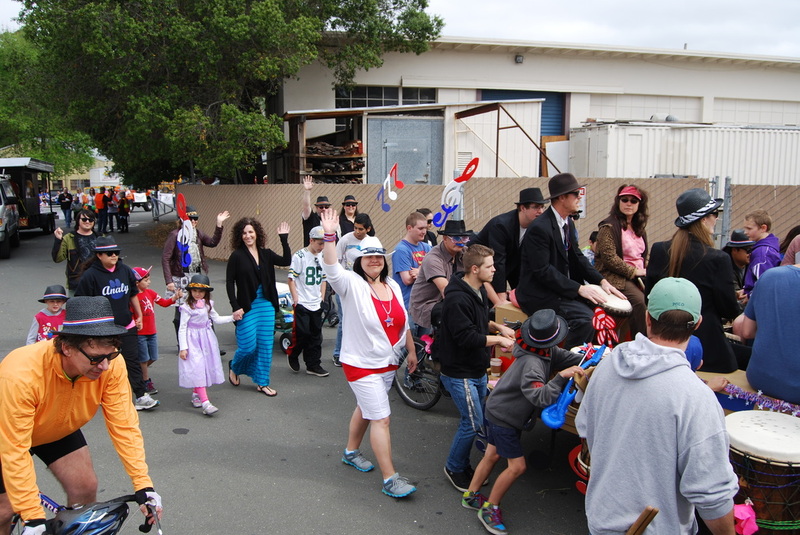 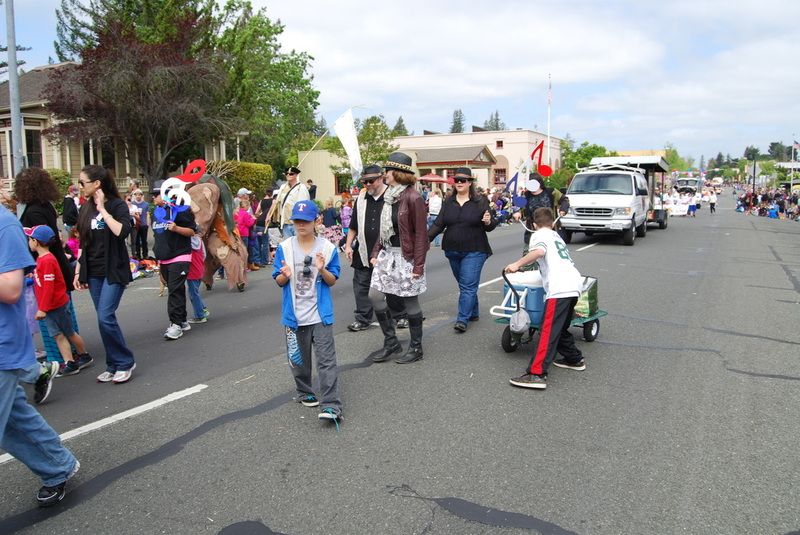 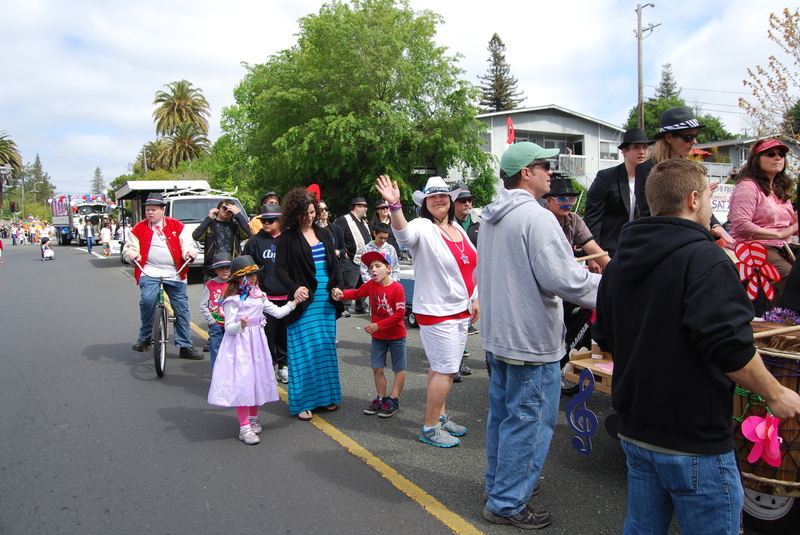 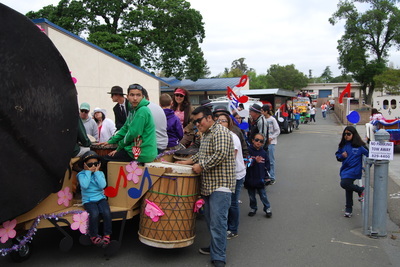 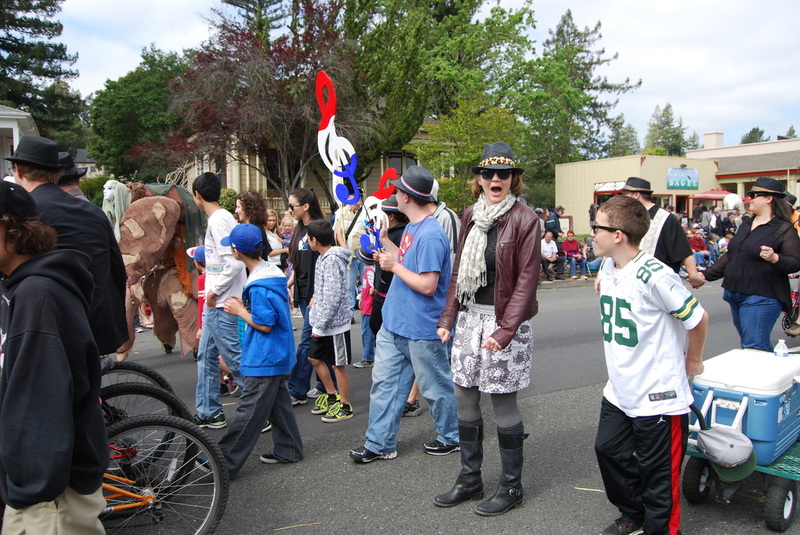 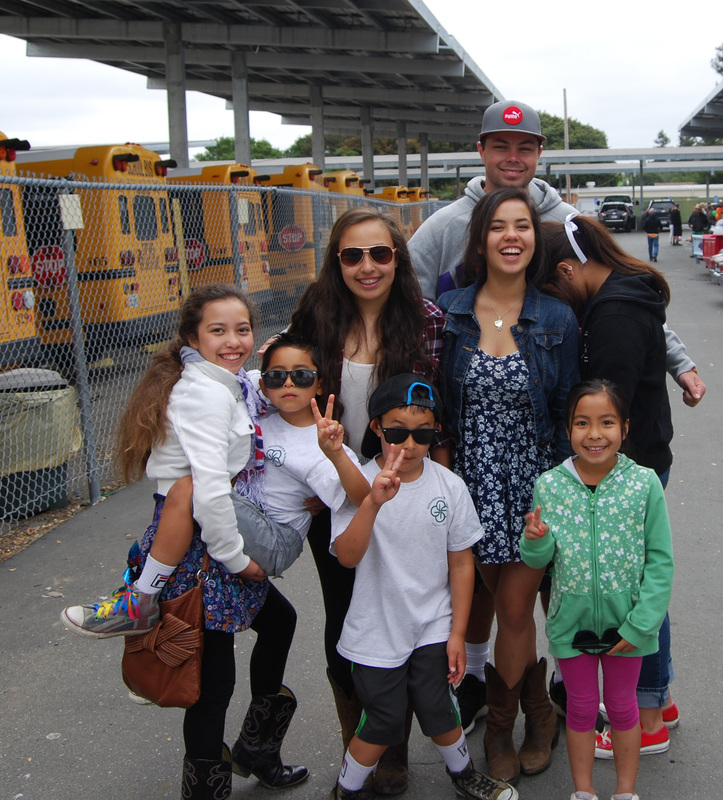 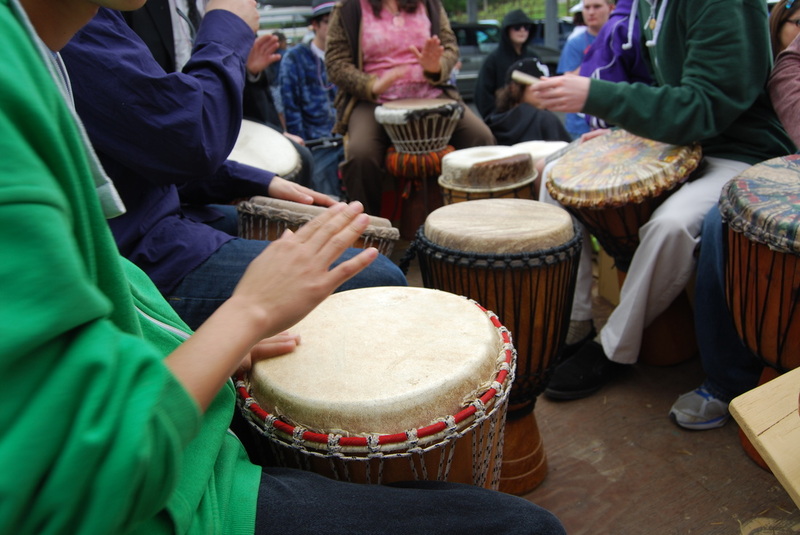 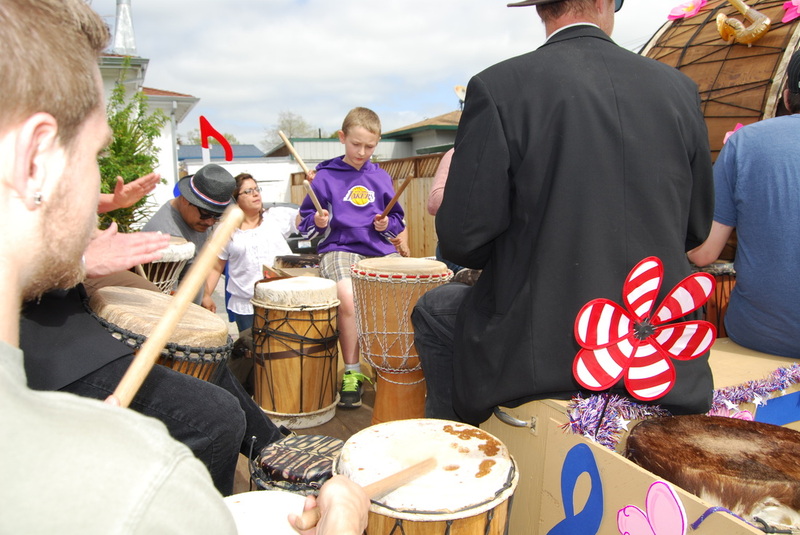 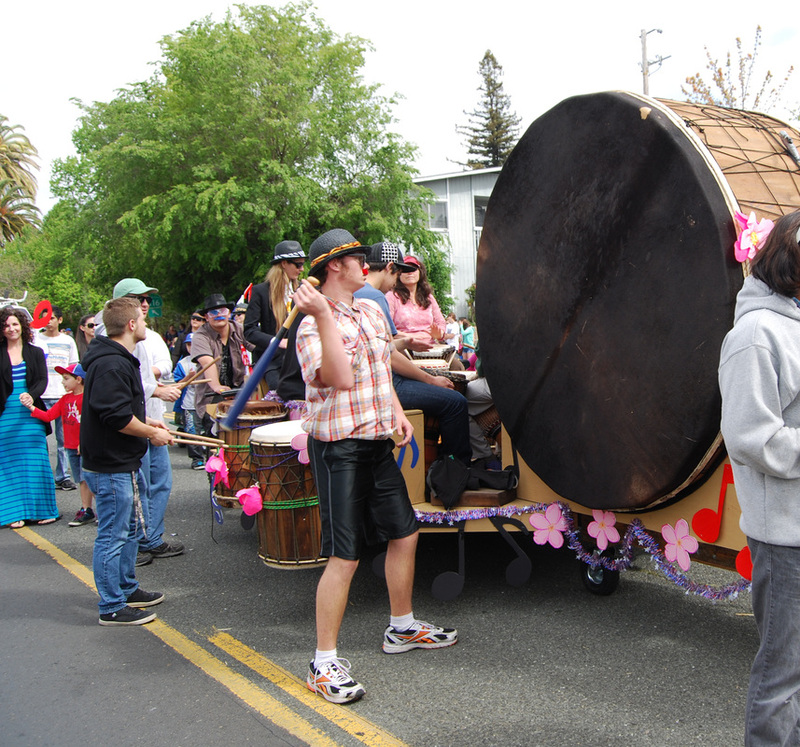 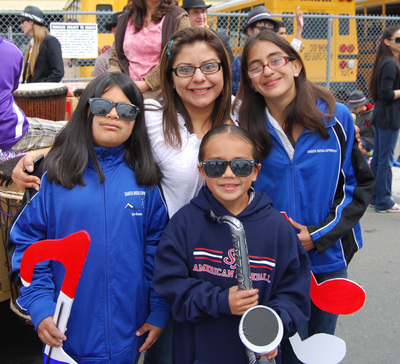 Kids, adults, judges and other parade attendees cheered along in amazement at the deep thundering sound coming from the giant drum as staff and students used wooden baseball bats to belt the hand-made West African drum. 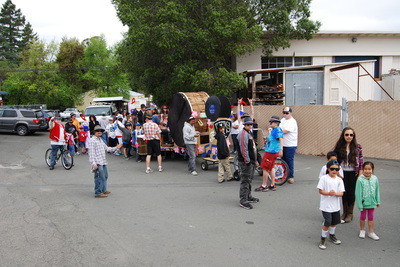 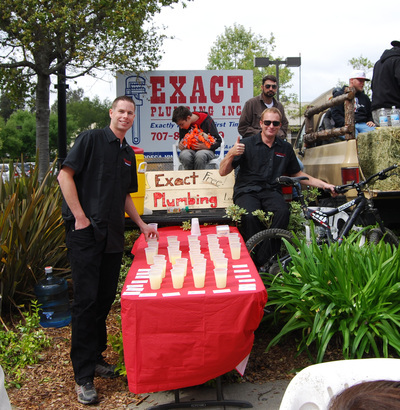 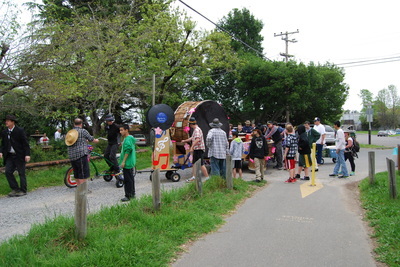 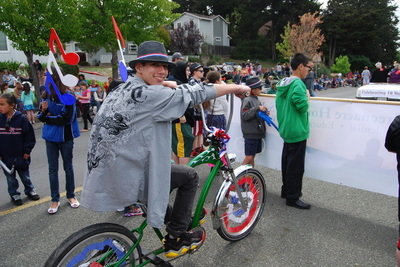 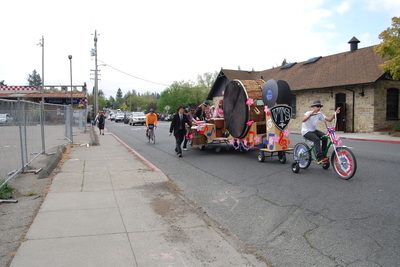 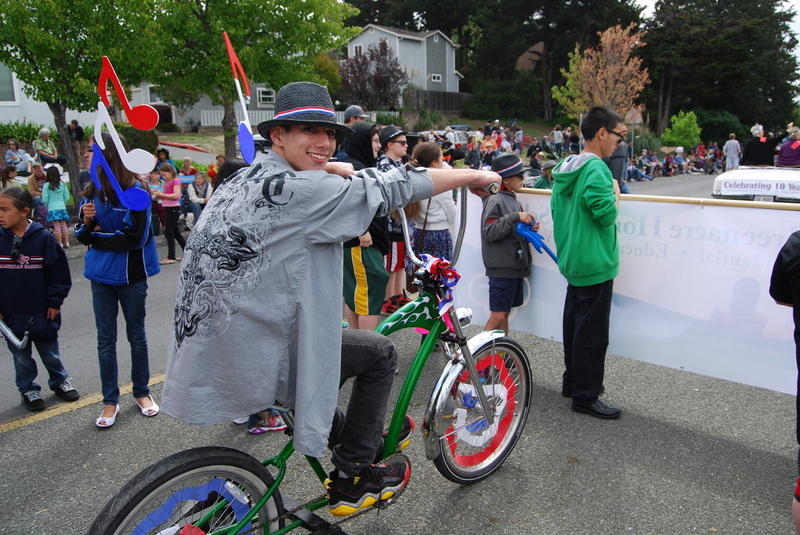 Huge appreciation goes out to our Vocational Teacher, Jesper Nordqvist, "Mr. N", for again coordinating the entire event and really letting the students creativity run wild with float decorations, bike modifications and platform and wheel adjustments to allow for more on-board drummers and easier maneuverability. 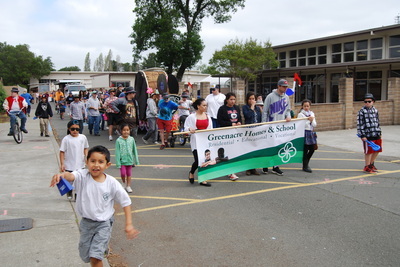 A special thank you to all the boys, family members, staff, alumni, volunteers and friends for making this Greenacres and Sebastopol tradition so enjoyable and memorable. 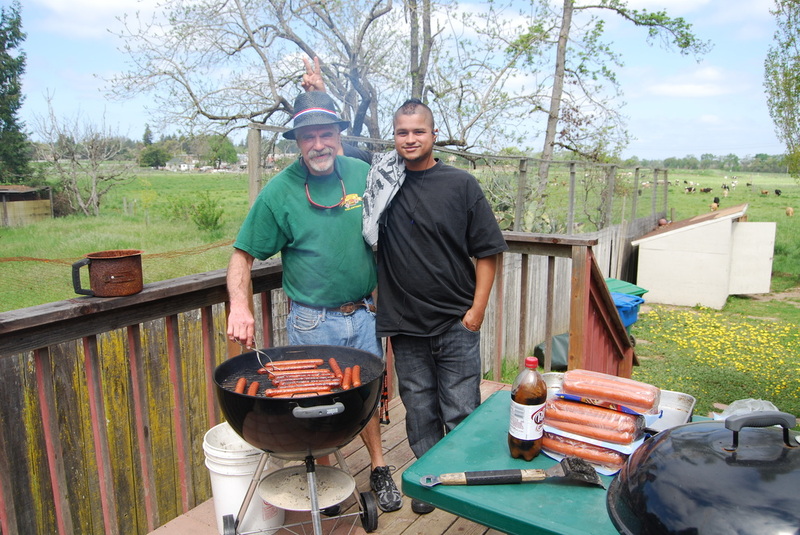 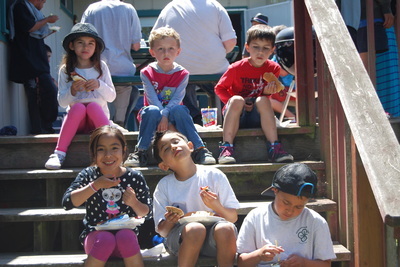 And of course we can't leave out our chef extraordinaire, Mr. Steve Beach, for his famous BBQ lunch.....the best part of the day for some of the folks! 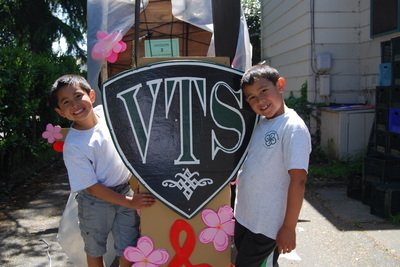 We don't know what VTS has up their sleeves for the 2015 Apple Blossom, but we're sure it will be over the top and a can't miss event!